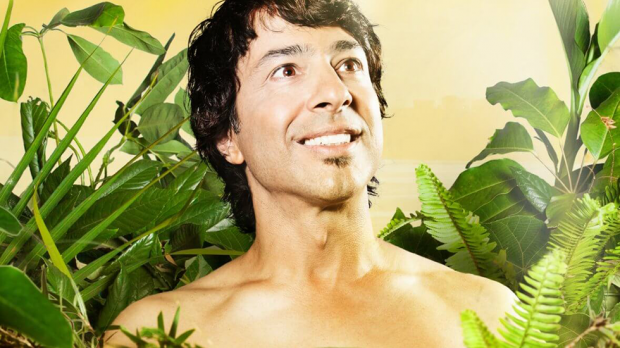 Californian raised and seasonal Aussie comedian Arj Barker is back in town for Perth Comedy Festival this week. He’ll be touring a brand new show Organic, which you can catch on Tuesday, May 1 at the Boardwalk Theatre in Mandurah and at the Regal Theatre for three shows from Thursday, May 3 to Saturday, May 5. BRAYDEN EDWARDS caught up with Barker to find out what’s been doing the rounds in his bizarre and restless mind and how it’s all become part of his new repertoire. I actually live in both countries and I’m lucky that I have the chance to live in either. It really depends where the gigs are, you know? I’m based in Melbourne when I’m touring. You’re currently doing a run of shows at the Melbourne International Comedy Festival but it’s a different show you’re bringing to Perth. Why is that? So what’s the premise of Organic, the show you are bringing to Perth? You were in town not so long ago for Fringe World. For those that might have caught you there or seen you before at some point, how is this different for what they might have seen already? Well I think I’ve become a better comedian as I go on so I like to think each new show is an improvement on the one before. One thing I can say for sure is though, they’re going to have quite a good time. It’s always hard answering that common question, “what can the audience expect?” I’ve been asked that right through my career and I still don’t think there’s a way I can answer it properly. I’ve got to try though, it comes with the trade. Speaking of which, what do you think you’d be up to if you weren’t a comedian? What trade do you think you would be in? Well I’ve got lots of hobbies man, I play music and play the odd song in shows. I’ve been teaching myself basic woodwork lately but I don’t think I’d necessarily make it as a carpenter either. I guess I’m just thankful I found a job pretty early in life that I really enjoy. I’m pretty lucky that way. Any advice on how to achieve a life where you work a job you really love? All of us have to do things we don’t particularly enjoy but it’s what you do in your free time that really makes the difference in how happy you are. I don’t always want to sit on aeroplanes. I don’t always want to even leave my house either. I can’t solve anyone else’s problems it’s really up to them. But what I can say is if they come see some good comedy it’s a great way to forget all those things for now.